On Saturday 22 August, SciBraai, Code4SA and the International Center for Journalists hosted the first ever science-themed Data Quest, which produced some great potential multimedia science stories. 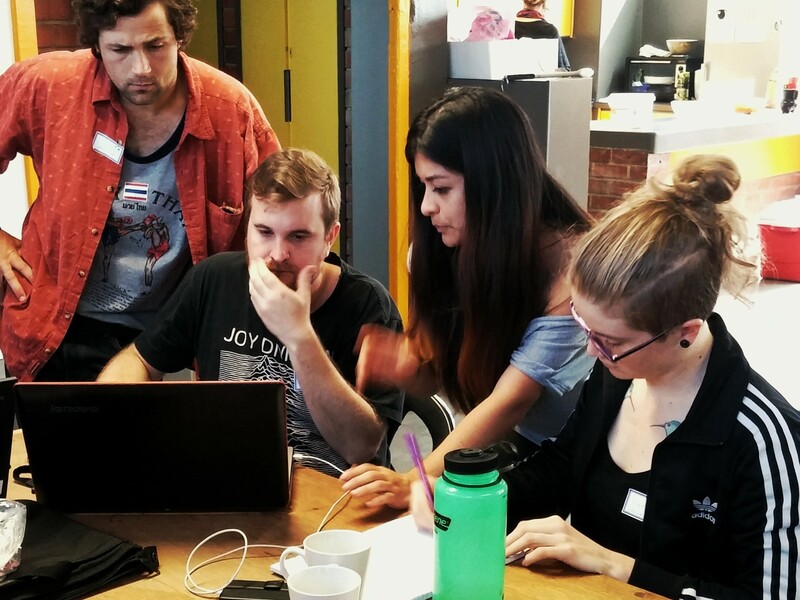 Held at Code4SA’s Codebridge lab in Cape Town, the event put data nerds, scientists and journalists into teams tasked with sifting through publicly available data to find stories and create interactive data visualisations. 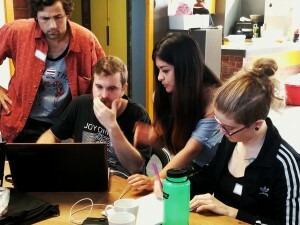 Nine teams of three to four participants worked feverishly over the course of the day, with a little guidance from Code4SA’s resident techies and data journalists. There were many South African data sets available, including data about South African dams, causes of death, and poverty levels in South African municipalities. Participants had to understand the data, find a story within the data, and then visualise it using mapping, graphing and statistical analysis. Finally, they had five minutes to present their pitch for a story to the panel of judges. Raymond Joseph and Adi Eyal of Code4SA, as well as our very own Anina Mumm, were the judges on the day. “I’m thrilled with the turnout, especially regarding the science journalists and scientists, all of whom added really unique skillsets to the Data Quest format,” said Mumm. Most participants said that they’ll be taking many lessons home from the day, and they had really enjoyed working with people from other disciplines. Considering that participants were randomly assigned to teams, and had only six hours to work together, the final products were remarkable. Third place went to Matthew Barge, Bridget Calder, Shabier Jacobs , and Ady Keyser, for a project that looked at how public transport entrenches inequality in South Africa. Isaac Lundall, Rebecca Weber, and Ashton Maherry took second with their tool that shows you where in SA your water comes from. The winning team of Wogan May, Joey Reddy and Bibi-Aisha Wadvalla mapped SA hospitals and graded them based on self-assessments to show where SA hospitals are working and where they are not. Prizes were sponsored by SafariNow, Eighty20, Research Africa, the Water Research Commission, and Waterford Wine Estate. Libstar Foods and the International Center for Journalists generously sponsored lunch. Besides the winning teams, data questers found stories about water service delivery, about the impact of community facilities on matriculation rates, and even a story about Mbeki’s legacy on South African demographics. We even saw evidence of past and present failures in HIV/AIDS policy, right there in the census data. The three best projects will now work with SciBraai and Code4SA to develop their stories to be publication-ready. As Ray Joseph said at the end of the prize-giving ceremony, “This isn’t the end of these stories; it’s the beginning.” Keep an eye out for these stories in the next month or two – they’re definitely going to be worth exploring. 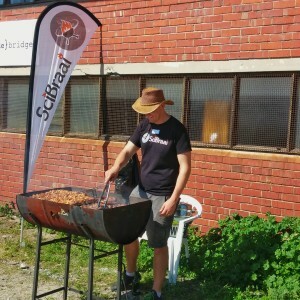 This was SciBraai’s first ever Data Quest with the folks from Code4SA and the ICfJ. The next Data Quest is coming to Johannesburg on October 9th 2015, in partnership with Hacks/Hackers JHB and the GCSRI. If you attended the first and would like to share your experience, or you missed out on it and you’d like to participate in the next one, be sure to get in touch! Paul Kennedy is a science writer and entrepreneur interested in innovation, sustainability and research policy in Africa. He trained as a molecular biologist before realising that the research out there was way more interesting than what he was doing in the lab. He is also the co-founder of ScienceLink www.sciencelink.co.za. See more at www.about.me/paul.kennedy.